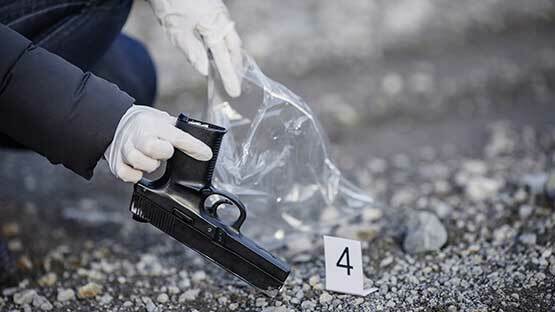 The Associate in Science Degree in Crime Scene Technology prepares students for employment in the field of criminalistics with a specialty in Crime Scene Investigation or Forensic Science. Graduates of this program may find employment as a Forensic Science Technician, Crime Scene Technician, Medical Examiner Investigator, Medical Investigator, Insurance Investigator, Legal Investigator, Forensic Paralegal, Crime Scene Investigator, and Laboratory Technician, among others. Students may also continue their formal education with the College and receive a Bachelor of Applied Science in Public Safety Management.